You might be interested to know that the term dashboard originally had nothing to do with a control center for a car or web page. It had no dials, buttons, or gauges. In fact, it was little more than a piece of wood or flap of leather. The meaning of dash being referred to, according to the Oxford English Dictionary, is the “violent throwing and breaking of water or other liquids upon or against anything.” Think of the painter dashing gobs of paint against a canvas. A dashboard was a wooden board, or a leather apron, placed at the front of a carriage to catch mud or water being dashed up by the horses’ hooves, keeping it from soaking the driver and passengers. We would now call that a mudguard. As carts evolved into cars, a windscreen (windshield) was put in place above the dashboard, and the latter became a handy place to put instruments. But it kept its name. Everyone who texts, emails or calls in the correct answer by the last day of this month will be entered into a drawing for a $10 gift card from Caribou Coffee. One way to help your children start school ready to learn is by helping them expand their vocabulary at a very early age. A study reported in the journal Child Development found that children with larger oral vocabularies by age 2 start kindergarten better prepared, both academically and behaviorally, than others. Researchers analyzed nationally representative data for 8,650 children. Parents answered a survey about their 2-year-olds’ vocabulary. At the same time, kindergarten teachers rated the same children on such factors as behavior, self-regulation, and academic performance. The data showed that children who had a larger oral vocabulary at age 2 had greater reading and math achievement in kindergarten, as well as fewer behavioral problems, such as acting out or anxiety. What can parents do? Start talking to their kids very early in conversational tones. Expose them to words. Read to them every day. Mind Reading Over The Internet? You may not need psychic powers to read minds in the future. A good Internet connection might be enough. An experiment by researchers at the University of Washington (reported on the NBC News website) succeeded in helping volunteers send simple yes-or-no messages directly from their brains to each other. The experiment used an EEG and a large electromagnet to read and transmit signals from the brain of one volunteer to another. The subjects played a version of 20 Questions in which one participant looked at pictures of different animals and attempted to answer questions mentally to another subject in a separate lab 10 miles away. The second subject could ask only three predetermined questions before attempting to identify the animal (like, “Can it fly?” or “Is it a mammal?”). The volunteer answering the questions looked at a “Yes” or “No” light flashing on his or her computer screen. The responses were recorded as EEG activity and then sent through the Internet to the second participant via a transcranial magnetic stimulation device attached to the back of the volunteer’s head. In the experiment, the subjects were able to correctly interpret the signals and identify the animal 72 percent of the time. The researchers hope to conduct more experiments allowing subjects to transmit more complex information. Here are some of the new clients who became members of our “Real Estate Family” this past month. I’d like to welcome you! 1. Run your finances like a business. You should treat your budget like a business, because in the business of life, the bottom line matters. Many of the same principles business owners use can be applied to your personal life: prioritize your spending, assess your profits and losses, and don’t lose sight of the big picture, like saving for retirement or getting out of debt. 2. Make saving part of your lifestyle. Saving money doesn’t always come naturally. Successful savers usually fail a few times (or more) before they figure out what works best for them. People who live with less and save more get ahead in life. Be like the tortoise in the Tortoise and the Hare. Even shrinking your grocery bill by just $15 a week will save $780 a year—imagine all the other little cutbacks that are possible. 3. Automate the process. This is a piece of money-saving advice that is echoed by nearly every financial expert. Paying yourself first is the first step, which means setting up an automatic transfer from your paycheck into a savings or investment vehicle. You can set up one large transfer to go through monthly, weekly or whenever works best for your finances—as long as it’s automatic, you’ll be saving without even realizing it. 4. Pay off your debt. Being in debt can literally ruin you. By saving for major purchases instead of putting them on credit cards, you may have to delay gratification, but you will win in the end. You’ll save thousands of dollars in fees over your lifetime. Also, by developing a habit of saving vs. borrowing, you’ll be less likely to make extravagant purchases, and be more satisfied with fewer big purchases. 5. Trick yourself. Many behavioral economists say mental accounting (i.e., treating different piles of money with different intentions) helps trick your brain into better budgeting and saving. This strategy might sound a little complicated, but it’s really a take on the classic envelope system, where you allocate your paycheck to a weekly or monthly budget and put the cash into different envelopes – one for each budget category. Once the envelopes are empty, your budget is maxed out. There was a farmer who regularly sold a pound of butter to a baker. One day the baker decided to weigh the butter to see if the farmer was honestly giving him a full pound of butter. He found that he was not. This angered the baker and he took the farmer to court. Do you have a hard time sitting still at work? Do you find yourself unconsciously tapping your foot or playing with your pen? Don’t fight the urge! A British study has found evidence suggesting that fidgeting at your desk may actually be good for your health. The UK Women’s Cohort Study divided thousands of participants into three groups based on how much they fidgeted—low, middle, and high. Those in the “low” group, who sat while working for seven hours, were found to have a mortality risk 30 percent higher than those who spent the same amount of time seated, but who fidgeted at middle or high levels. This suggests that fidgeting may help to compensate for the health risks of sitting still in one’s chair for long periods of time. The data seems to support the advice that moving around even a little throughout your day can have positive health benefits, and may even help you live longer. · Ideas. They will slowly swirl up from your subconscious, boosting your creativity for problem solving and organizing. Walking puts you into a meditative state that encourages deep thoughts in a way that other forms of exercise don’t. · Feelings. You might be experiencing great happiness or sadness, or even anxiety. Walking helps you work through feelings and reduce cortisol levels, helping you feel greater calm and control. · Sights. When you walk, you see things that can spark new ideas, solutions, or perspectives. It’s helpful to walk in a beautiful place and notice the beauty, because seeing beauty lifts the spirit and lowers stress hormones. · People. You might encounter other humans as you walk. Those people might think differently than your usual crowd, giving you new perspectives and even friendships. · Hormone Health. You know that walking helps you lose weight, improve your heart rate, and lower stress hormones. But did you know that it will also increase healthy hormones, such as testosterone and progesterone? Send me information about your free, no-obligation HomeFinder service. Once you have found that perfect home with the right price and every little feature you were hoping for, it’s important to keep in mind that the home has been presented in a way that accentuates its highlights and shadows any flaws. For this reason, it is crucial that you get a home inspection before completing a purchase. 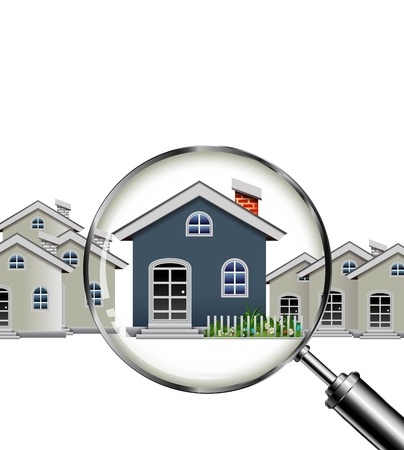 Many sellers also have inspectors investigate the home in order to determine its sale value. As such, they should be aware that a prospective buyer will want to request an independent inspection to verify the findings. If you are the one purchasing the home, getting an inspection is likely to be the most important investigation you need to perform to ensure you are getting the best value. It can also help to know what reasons each party has for requiring a home inspection. Buyers, for example, feel peace of mind knowing the home in question is safe. They also gain the ability to negotiate in the event a problem arises from inspection, or they can request repairs first. They can also opt out if the problems that arise are too overwhelming to deal with prior to or after the purchase. Finally, buyers can learn about the kind of maintenance and upkeep be required for the home in the long run. Sellers, on the other hand, want to make the transaction as smooth of a process as possible to prevent issues that could slow down the sale. They can also learn about any problems they need to repair before putting the house on the market, and they can determine the sale price for the transaction. Lastly, this allows the seller to prove their transparency by having an inspection report available, even though he or she should expect that the buyer should be requesting an independent home inspection regardless. It should be evident, having an inspection conducted is vital for buyers and sellers alike; though the price might seem costly at first, it is merely a small fee that is well worth the effort to solidify a home purchase. The first thing to keep in mind is that most states lack a licensing process for those who inspect homes. If your state does not have such criteria, finding an inspector in good standing with a nationally recognized organization can help as well. It is very important not to take a seller’s inspection report at face value, no matter what kind of reputation they may have as a person. You might not even want to accept an inspector that someone else hires since they may have a vested interest that can influence the report. Keep in mind that a general inspector is not typically licensed to check for specific issues like gas or pests. As such, you will need to either seek someone who is licensed for a full inspection or specificaly request inspection for pests, especially for those in high risk areas. Though the real estate market has improved, we still have one item holding it back from a full recovery – a robust supply of homes for sale. Demand has increased dramatically. At the same time, housing inventory is decreasing especially at the lower price points. Houses listed today sell quickly. With prices still below peak values of 2007 in many parts of the country and mortgage interest rates at historic lows, this may be the perfect time for your family to make the move to the dream house you always wanted – whether that’s a larger home or that vacation/retirement home you have been looking at. Housing has always been an essential part of the U.S. economy. As we have reported before, real estate not only provides housing for families. It is often the greatest source of wealth and savings for many. The recent increase in real estate sales has led to an increase in real estate prices. This has increased the value of everyone’s’ home, whether they are selling or not. This leads to an increase in consumer confidence which in turn leads to an increase in consumer spending. Plus, each home sale automatically puts money into the economy. If you have considered selling but are still a little nervous, now might be the time to sit down together and see what your options truly are – no strings attached. Give me a call or text 612-345-9070 or send me an email (see below). 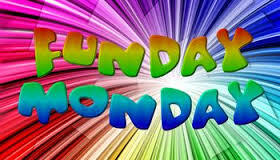 It is that time of the month again – Fun Day Monday! Who is the famous voice behind the world’s most infamous prank, “The War of the Worlds” radio broadcast (1938) ? Just drop your answer in the email form (below) and forward this to a friend. I am looking forward to announcing the winner by the end of the week! Good luck and have Fun ! Mortgage rates ticked upward for fixed rate loans and were unchanged for 5/1 adjustable rate mortgages according to Freddie Mac. Weekly jobless claims were lower in spite of slower job growth reports. Fixed mortgage rates rose by one basis point for both 30 and -15-year mortgages. The average rate for a 30 year mortgage rate was 3.80 percent and the average rate for a 15-year mortgage was 2.98 percent. The average rate for a 5/1 adjustable rate mortgage was unchanged at 2.92 percent. Average discount points for fixed rate mortgages were unchanged at 0.60 percent and rose from an average of 0.40 percent to 0.50 percent for 5/1 adjustable rate mortgages. The National Association of Realtors® reported that pending home sales for February increased by 3.10 percent against an expected reading of -0.20 percent and January’s reading of 1.20 percent. This was a welcome surprise in light of severe winter weather conditions throughout much of the U.S.
Weekly jobless claims were lower at 268,000 new jobless claims as compared to the prior week’s reading of 288,000 new claims and expectations of 285,000 new jobless claims. Analysts note that week-to-week reports of jobless claims are volatile, and the four-week-rolling average is a better source for identifying jobless trends. Labor markets received unwelcome readings as the Labor Department’s Non-Farm Payrolls report fell far shy of expectations and the ADP report, which measures private sector jobs, fell below February’s reading. Non-Farm Payrolls for March reflected only 126,000 jobs added against estimates of 243,000 jobs added and February’s reading of 264,000 jobs added. This was the lowest reading for Non-Farm Payrolls in 15 months. The March reading raised questions concerning the potential for another economic slowdown and whether or not lower readings for labor reports signaled a temporary slowdown or indicated broader challenges to the economy. ADP reported 189,000 private-sector jobs added in March as compared to February’s reading of 214,000 jobs added. This was the lowest reading since January, 2014. The ADP report is seen by analysts as a precursor of the Non-Farm Payrolls report. The National Unemployment Rate was unchanged at 5.50 percent in February; this report lags a month behind Non-Farm Payrolls and ADP reports, so does not reflect the drop in job growth for March. Labor markets are a priority for prospective and active home buyers as mortgage approval and the ability to afford a home hinges on steady employment. Housing markets could be in for more challenges unless dropping job growth proves to be a temporary situation. This week’s scheduled economic releases include reports on job openings and minutes of the last FOMC meeting along with Thursday’s reports on mortgage rates and weekly jobless claims.